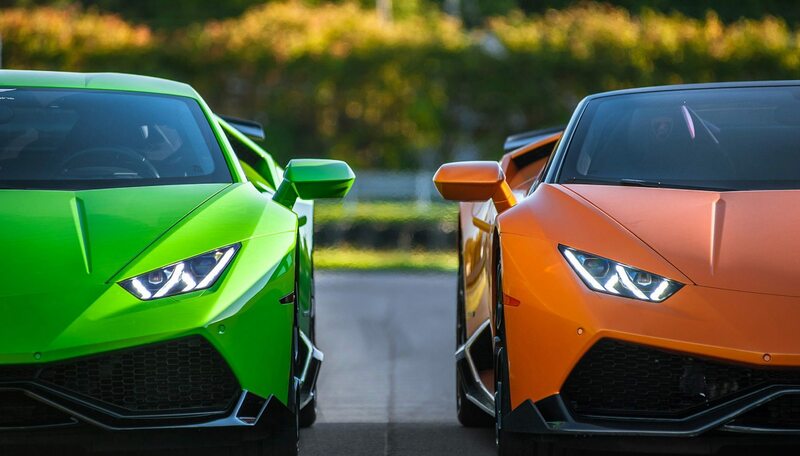 Lamborghini is supercar royalty. Which makes the head of their regal family, the Aventador, kind of a big deal. As the current flagship model of a company whose history is littered with icons, the Aventador is a vehicle with some lofty expectations to live up to. It’s not easy following cars like the Miura and Countach. But somehow the Aventador manages to do just that. 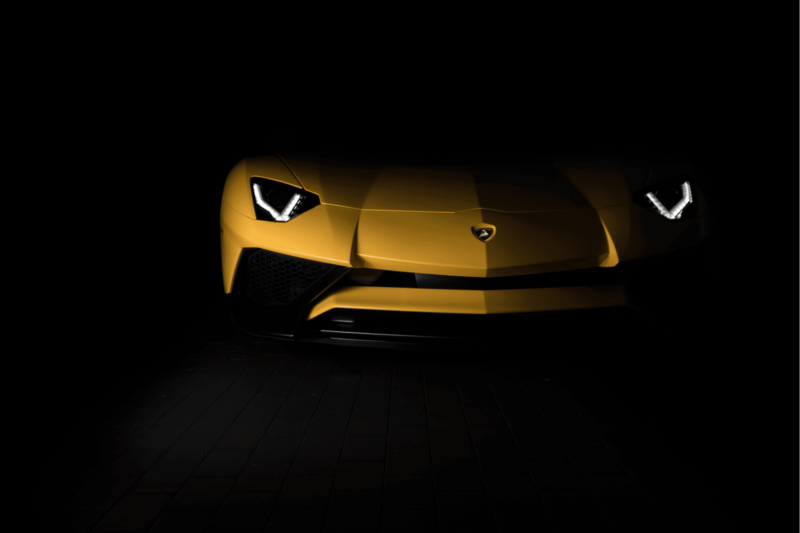 In an effort to match up to what has come before, Lamborghini, instead of shying away from its heritage, has chosen to draw upon it. 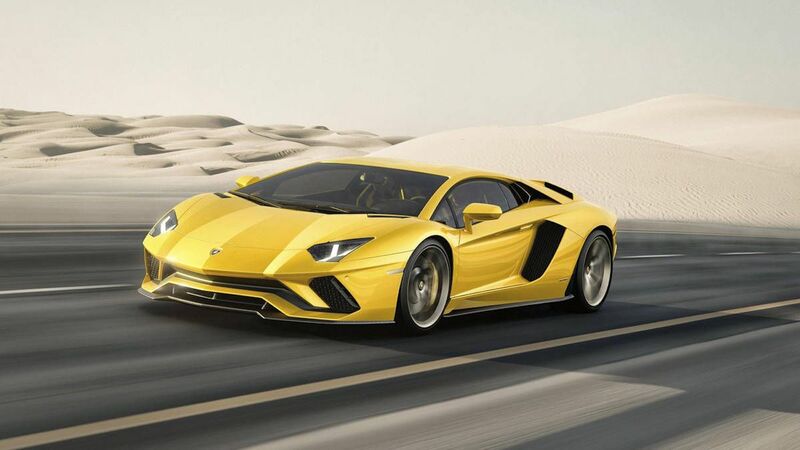 Yes, the Aventador is packed with the latest tech, such as the new LDVA (Lamborghini Dinamica Veicolo Attiva/Lamborghini Active Vehicle Dynamics) system, but it remains an old school supercar. Low, wide, powerful and bristling with menace. A solitary glance is all that’s needed to realise the design is pure Lamborghini. With aggressive and purposeful lines, a shark-like front end, hexagonal tailpipe design, turbulence reducing air vents, the Countach inspired wheel arches and the unmistakable Lamborghini scissor doors. The Aventador wants you to know exactly what it is from outset. Whatever variant of the Aventador you choose, at its core you’ll find the same glorious, naturally aspirated V12 engine. 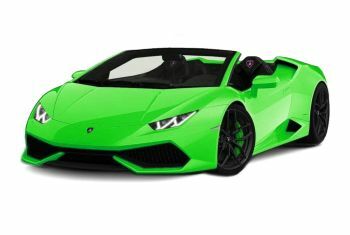 For Lamborghini has chosen to buck the trend adopted by many modern high-performance cars, namely, smaller, more efficient engines that utilise turbochargers to generate power. Instead, the V12 engine in the Aventador is a whopping 6.5 litre unit that generates 690bhp in standard form, without the faintest whiff of a turbocharger. All of this power means a sub-3-second 0-60mph acceleration time and a top speed somewhere over 217mph. The engine is further enhanced as you make your way up through the model list with 730bhp available in S trim, 740bhp in the SV and 760bhp in the range topping SVJ. When you’ve got such phenomenal power at your disposal, traction is important if you want to stand a chance of laying down that power and holding it through the corners. Therefore a big part of the Aventador’s performance is the sophisticated all-wheel-drive system that’s able to assess which tyres can best deal with the power being sent to them and distribute power accordingly. The Aventador’s four-wheel steering system controls lateral vehicle dynamics, whilst vertical vehicle dynamics are handled by the Lamborghini Magneto-rheological suspension and the active rear aerodynamics. The LDVA system combines all information from the car’s sensors and establishes in real time the best setting for each driving condition. Despite the power differences across the range, changes in acceleration times are almost imperceptible - even in roadster with its removable roof - Lamborghini instead choosing to focus on handling improvements and increased agility through corners. The SVJ, for example, is significantly lighter than the S and even produces 40% more aerodynamic downforce. All of which helped it to break the lap record for a production car around the Nurburgring race track. When you first shimmy yourself in through the trademark scissor doors and cast your eyes across the interior of the Aventador, it’s difficult not to feel intimidated. The engine start button, for example, is located by flipping up a bright red, fighter-jet-style switch. Then there’s the racecar-like seating position, severely raked windscreen, poor rear visibility and a central unit that looks like it’s straight from a spaceship. The Aventador lets you know it’s a serious car from the off and thus deserves a place on any list of best supercars. Spend some time behind the wheel though and you’ll realise it’s surprisingly easy to spend time with, given the size of the vehicle and V12 power at your disposal. 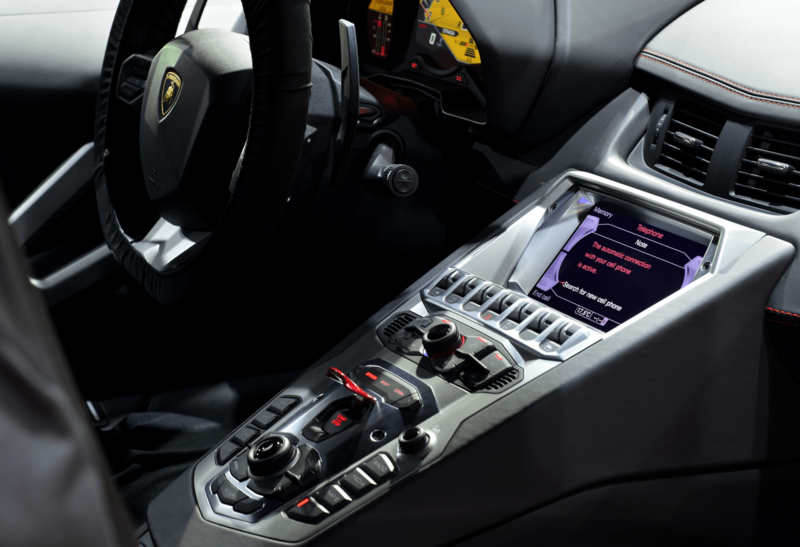 The materials used are of the highest quality and ever since being taken over by Audi, Lamborghini interiors are now a place where you can spend a considerable amount of time. Of course, that means putting up with the odd bit of switch gear from an Audi vehicle, but that's no bad thing given Audi make some of the best interiors around. It also helps to add a little grounding to what is an otherwise radical, old school supercar style interior. Options for the interior are almost limitless, with plenty of carbon fibre on display and even the option to leave parts of the carbon body exposed. The instrument panel has an interactive TFT LCD display with completely redesigned graphics and a menu that allows you to alter the interior with the LED lighting system. The world’s fastest production car around the Nurburgring Nordschleife is never going to be cheap. According to Parkers, for the standard trim Aventador, you can expect to pay over £260,000 whilst the SV will set you back over £300,000. The range-topping SVJ meanwhile costs £360,000. In reality, these quoted figures are highly unrealistic. For a used SV with under 5,000 miles on the clock, you’re actually looking at least £350,000 minimum for a good example. Heaven knows how much the ultra-exclusive SVJ will cost in the real world. The Aventador is a car that most definitely holds its value. The Aventador is a car that excels at speed. Due to its size, power and laser focus, it’s not a car for pottering around town. The chassis is dynamic and responsive, the stiffened springs working in perfect harmony with electronic dampers and four-wheel steering system. At low speeds the rear axle steers in the opposite direction to the front axle for greater nimbleness, at high speed, the two axles operate in parallel to guarantee stability at speed. With the Ego driving mode, greater control is placed into the hands of the driver. Because if the predetermined settings via Strada, Sport and Corsa mode are failing to hit the spot during your drive, you can tailor vehicle settings to your own preference via Ego mode. Steering is terrific, with genuine feel and feedback that allows you to position the car perfectly. The faster you go, the better the car feels. Find a long open stretch of road, or even better a track with some exciting corners, and the Aventador will reward your courage with mind-boggling speed and grip levels. And when it’s time to stop, the stopping power of the carbon-ceramic disc brakes is at your disposal. So if you fancy being the next test driver, hire a Lamborghini from us.